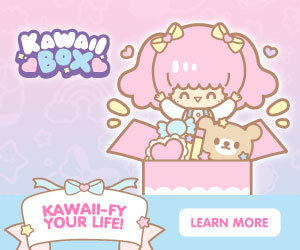 Japanfunbox is a fun and delicious subscription snack service that delivers popular, unique Japanese candies and snacks to your doorstep each month. 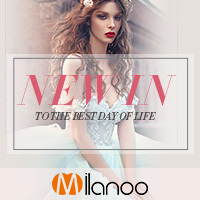 They have 3 box sizes, including the Mini box that I'll be reviewing today, which contains 5-7 items per box for $14.99 per month. 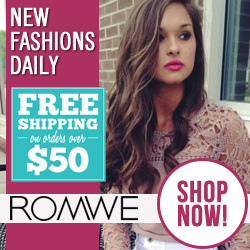 They also carry an Original box, which has 15-20 items (including 1 DIY kit and 1 special item) for $32.99/month, or a Family box, which gives you a whopping 25-30 items (including 2 DIY kits and 2 special items) for $49.99/month. 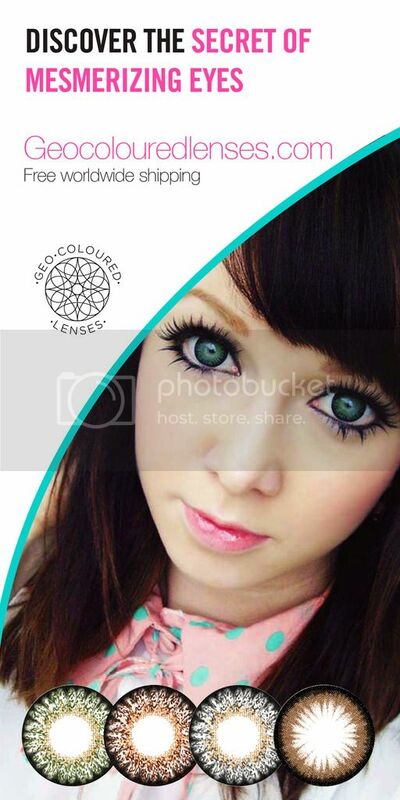 All their boxes come with free shipping worldwide, with products sourced directly from Japanese manufacturers. 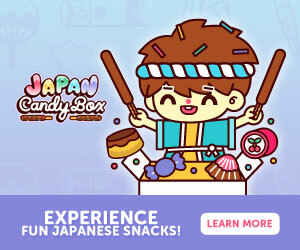 Plus, in addition to delivering a hand-picked selection of popular Japanese snacks, Japanfunbox strives to incorporate newly-released, limited-edition Japanese candies as well! 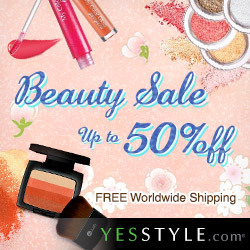 Their Mini box is their lowest-priced option, but the box itself is a pretty decent size, and although there are only 5-7 products per Mini box, the snacks are definitely large enough for you to get the complete taste experience! A problem I've had with other boxes is that, despite having tons of different items inside, the items are all sample-sized or mini versions, but I love that Japanfunbox gives you the full, regular-sized snacks. This box came with six different items, including a mix of candy, chocolate, chips, and more! 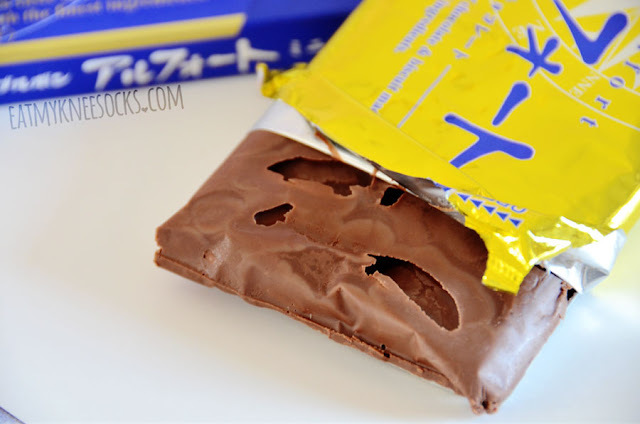 The first Japanese snack in this Japanfunbox Mini box was a box of Alfort milk chocolate-covered biscuits. These biscuits remind me of European cookies, combining a shortbread cookie with a layer of milk chocolate for sweet, melt-in-your-mouth deliciousness. Unfortunately, because of how hot it's been lately, the chocolate melted and the pieces stuck together. The taste, however, was unaffected; these chocolate-covered cookies are super delicious, with the perfect touch of sweetness and rich chocolatey flavor. The size is perfect as well, with enough of these delicious biscuits to satisfy your cravings. 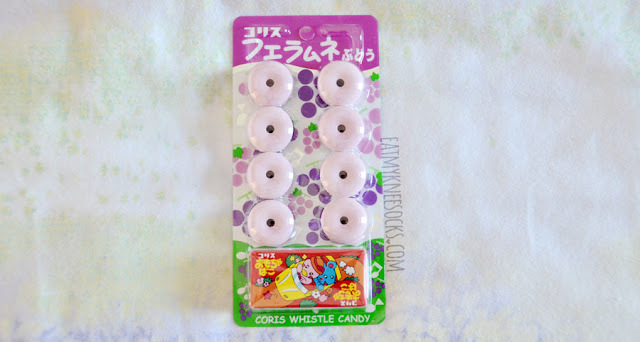 Next up is a pack of grape flavored whistle candy, a common Japanese snack that gets its name from how you can blow air out of it to make a whistling sound. 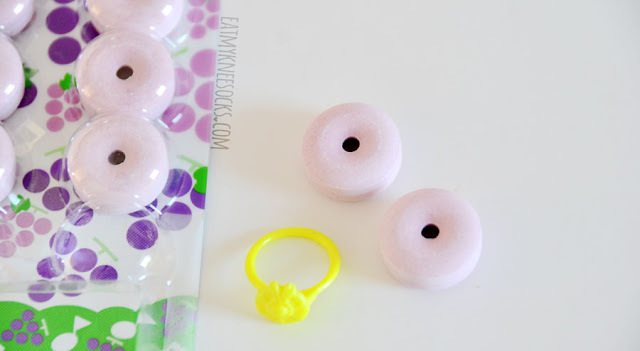 As a popular candy among kids, it comes with a small box containing a toy! This box came with a plastic yellow ring. The candy itself is sweet with a grape soda-type flavoring. It's hard in texture, but once you chew it, it easily breaks apart for more sweetness and a chalky texture, similar to smarties. The packaging is adorable, and they taste good too! The third item in this Mini box was a bag of Calbee pizza potato chips. 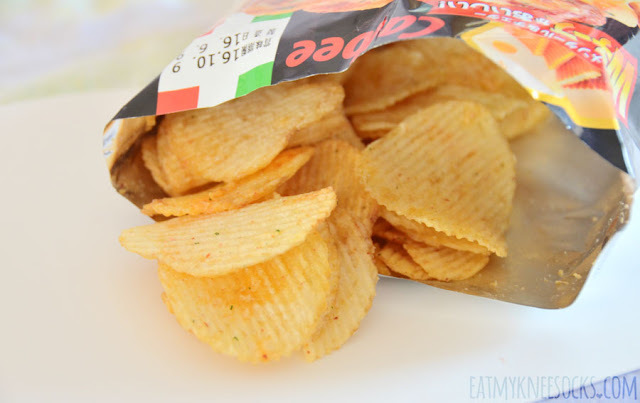 These are exactly what they sound like: crispy, delicious pizza-flavored potato chips! These ridged potato chips have a scent that's reminiscent of cheese pizza, and are super crispy and flavorful. 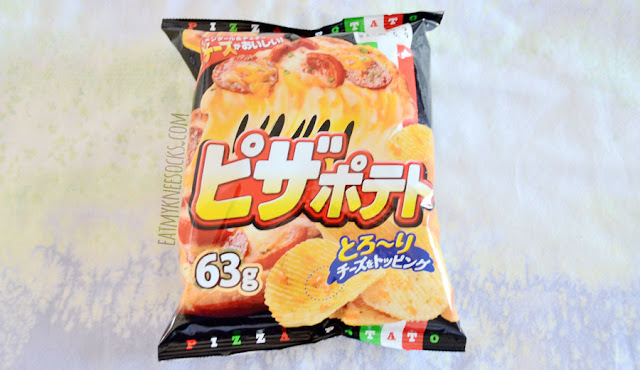 The taste is similar to barbecue chips but less sweet and more cheesy, and while I definitely get a touch of pizza flavor, they're not super similar to actual pizza. Still an amazing snack, perfect for anyone who loves chips. 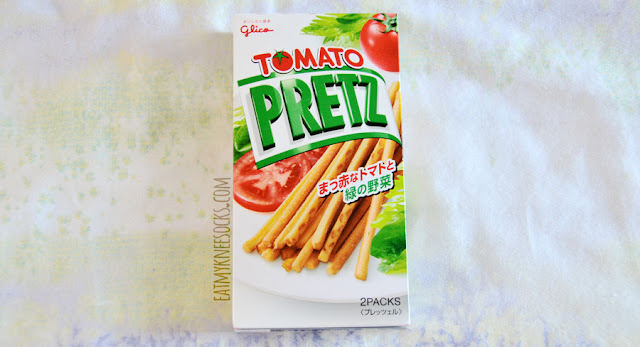 I was super excited to find this box of Glico Tomato Pretz, a snack that I've found in local Asian grocery stores and really liked! 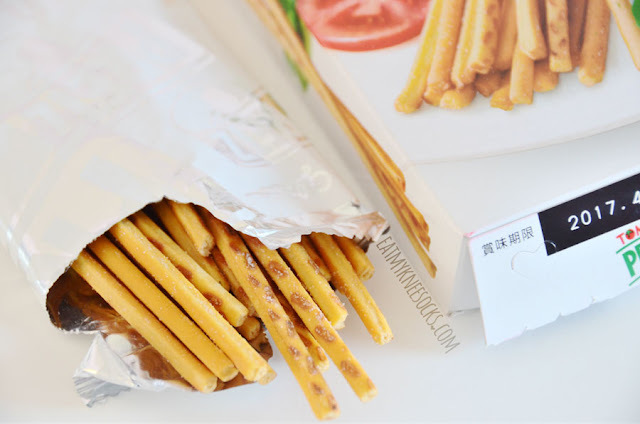 In this box are two packs of these light, crispy biscuit sticks, which have a texture similar to crackers, but in the form of long, thin sticks. These popular Japanese snacks have a delightful flavor; they're salty with a slight tomato flavor, and the thin, crisp texture perfectly compliments the bold taste. I really love Pretz snacks, and definitely recommend them! 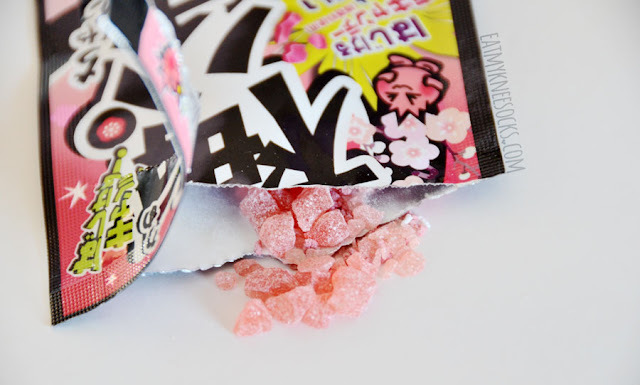 One of the more unusual snacks in this box was the pack of Ume-pachi candy, a plum-flavored, rock candy-esque treat. The package is pretty small and there's not a ton of candy inside, but the candy tastes pretty good, especially if you like rock candy. It has a mostly sweet taste, with a hint of sourness to it. 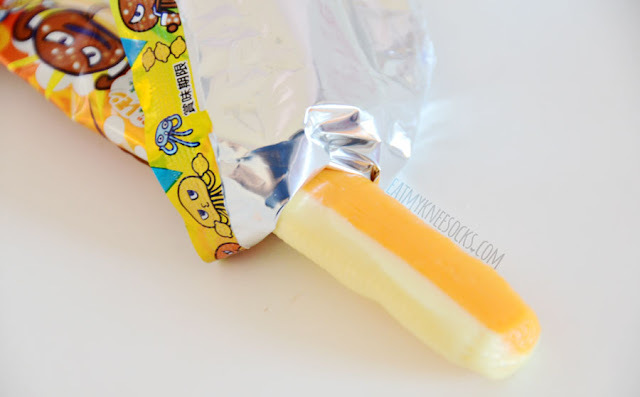 The final snack in this box, and another interesting find, was the Shuwabo chewy candy stick. This adorably-packaged candy features a combination of orange and lemon flavors, with a soft candy exterior and bubbly powder hidden inside. The result is an incredibly-unusual combination of fruity flavors that transforms into a bubbly cola-like flavor, and I really love it! Despite how odd it sounds, the citrus-y, fruity hints of orange and lemon blend together perfectly into something that almost resembles a fruit-flavored soda. The candy is soft and chewy, like Starburst, but has a sour touch and fizzyness to it that adds a whole new level of flavor. 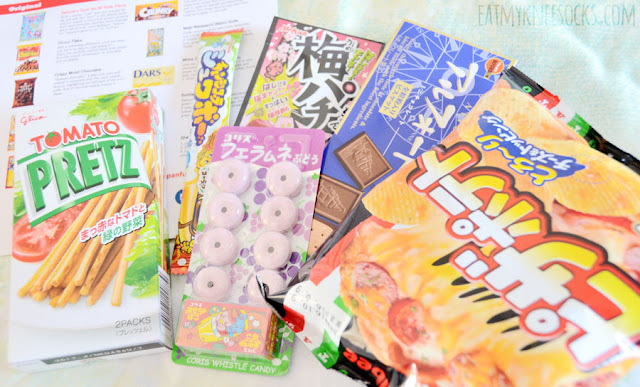 All the snacks in this Mini box from Japanfunbox turned out to be super delicious, and I love the variety of treats that they chose! Although there were only six items, they displayed a huge range of flavors, from sour soda-flavored chewy candy to rich chocolate-covered biscuits and many more. I had a great time trying out these snacks, which included a combination of popular and well-known snacks as well as more traditional treats and unique candies. It's a perfect way to satisfy my food cravings while also opening up my eyes to the wide range of Japanese snacks! 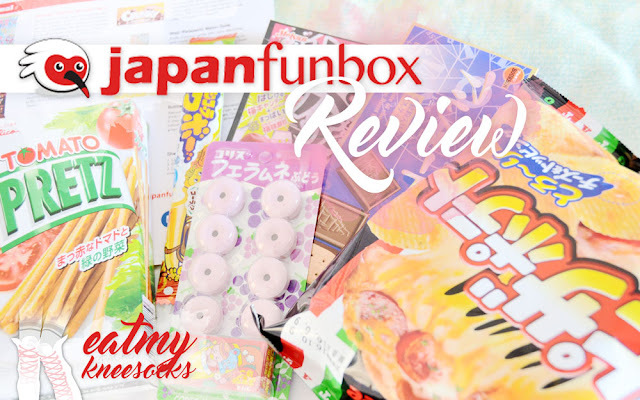 I definitely enjoyed trying out this box of deliciousness from Japanfunbox, and I hope you enjoyed reading my review. 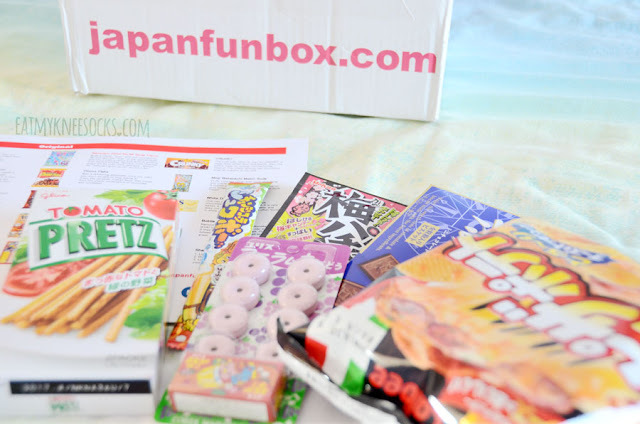 What I love most about Japanfunbox is that their snacks are actually full size rather than mini versions, and I'd say they're a must-try subscription for anyone who loves Asian snacks and candies! 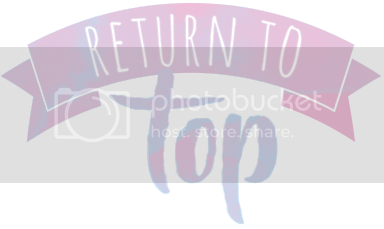 If you're hungry for more mouth-watering reviews, feel free to check out my other food posts, and thanks for reading!